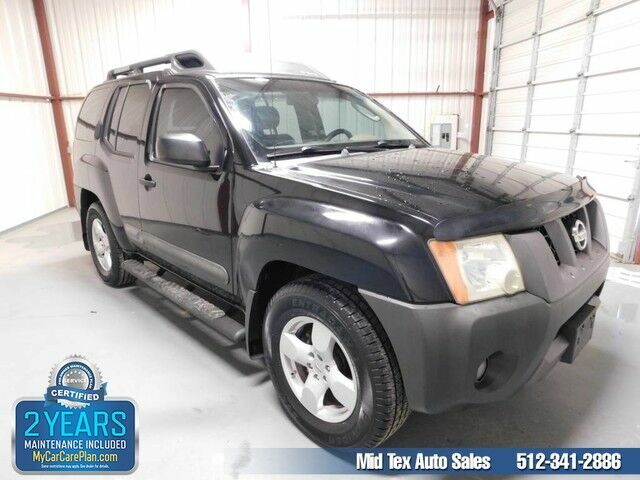 Mid Tex Auto Sales is honored to present a wonderful example of pure vehicle design... this 2006 Nissan Xterra SE only has 145,631mi on it and could potentially be the vehicle of your dreams! This vehicle is loaded with great features, plus it comes with the CARFAX BuyBack Guarantee. On almost any road condition, this Nissan Xterra SE offers solid performance, reliability, and comfort. This low mileage Nissan Xterra has barely been touched. It's the next best thing to buying new. The look is unmistakably Nissan, the smooth contours and cutting-edge technology of this Nissan Xterra SE will definitely turn heads. Visit Mid Tex Auto Sales online at www.midtexautosales.com to see more pictures of this vehicle or call us at 512-341-2886 today to schedule your test drive.